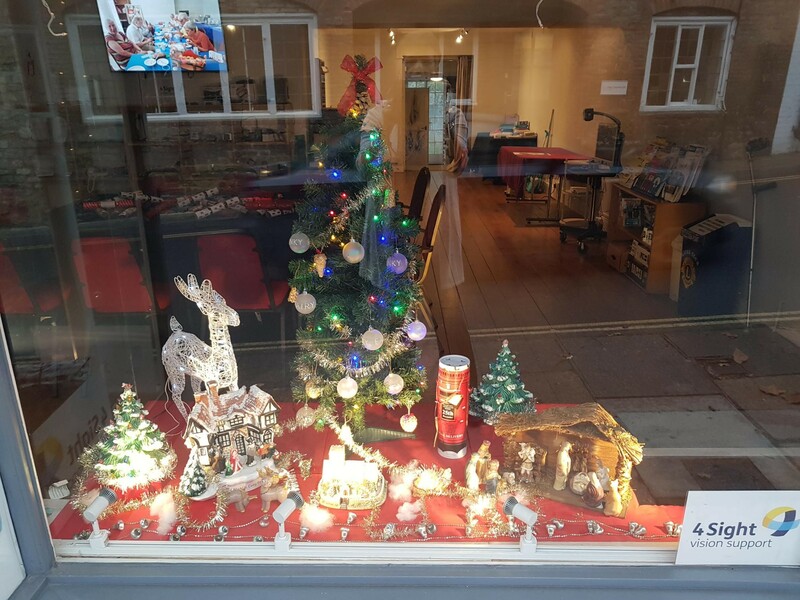 Each Christmas the Midhurst Vision Support Centre is transformed by our dedicated Christmas Elfs (you may know them as our volunteers). 2018 was no exception and the festive celebrations didn’t stop there. 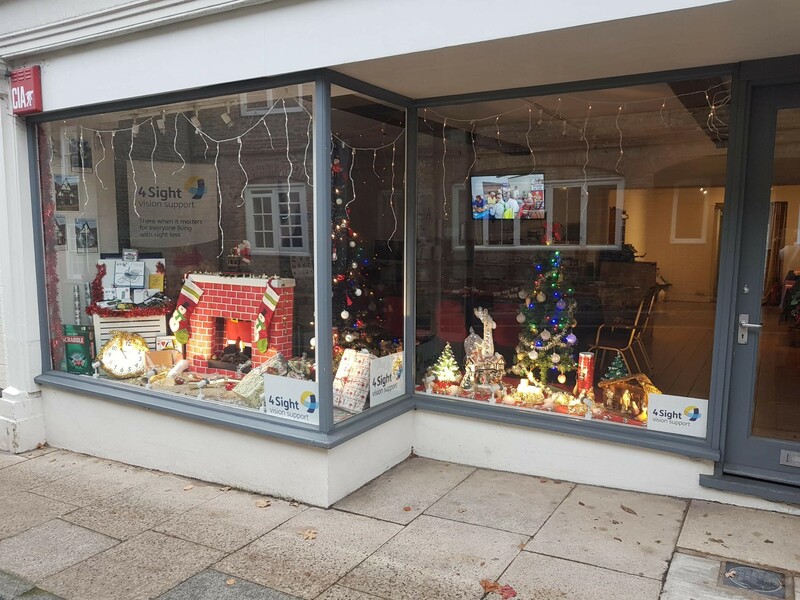 Opening the doors for the Midhurst late night shopping and Christmas Light switch on is a popular tradition and attendance numbers were even higher this year. 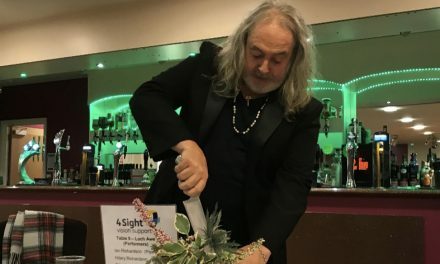 With Childrens crafts, mulled wine and mince pies – a great time was had by all that came out for this wonderful event. Our Tombola raised over £100 for the Centre and prize winners were delighted. 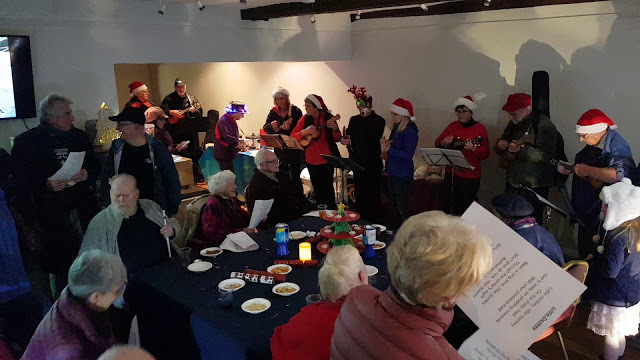 Spoilt with talent and carols we also were treated to outstanding performances and sing-alongs by the Ukulele Group. 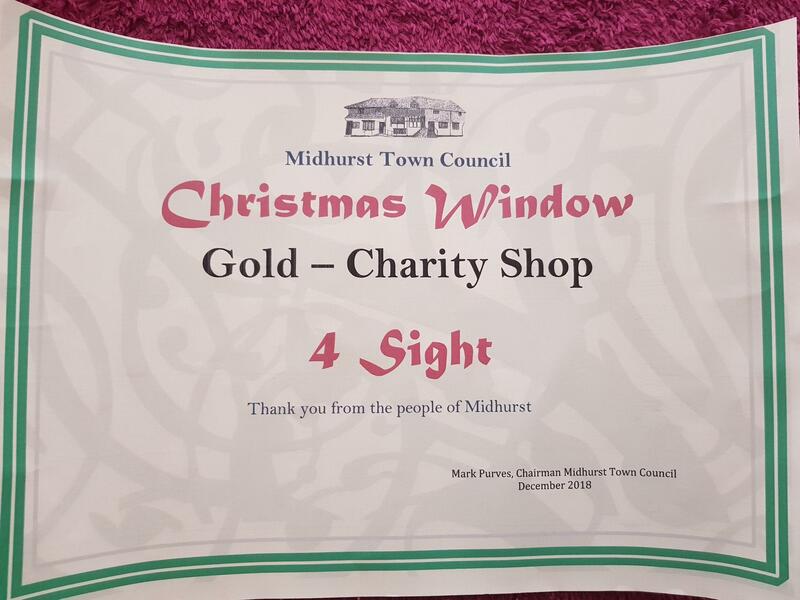 An exciting visit from the Midhurst Town Council then arrived to let us know we won the ‘Christmas Window – Gold – Charity Shop’ Award 2018. 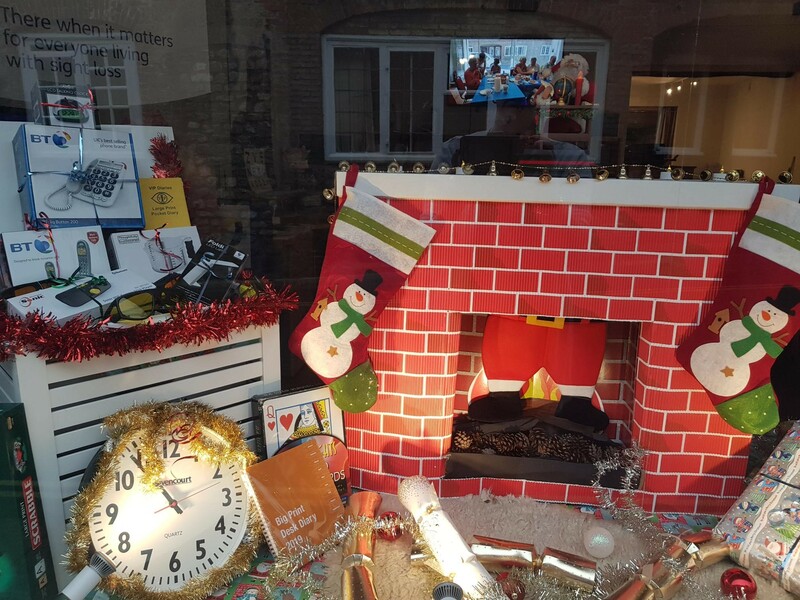 This award is dedicated to our hard working Elfs, sorry , our volunteers that work hard throughout the year not just on Christmas Window displays, but making a positive difference for people living with sight loss in their community. 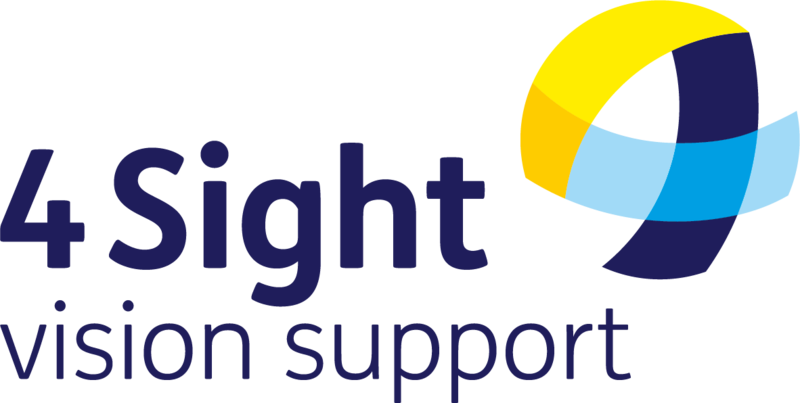 Keep up to date with all community news and updates just like this on our social media pages, @4SightVS. 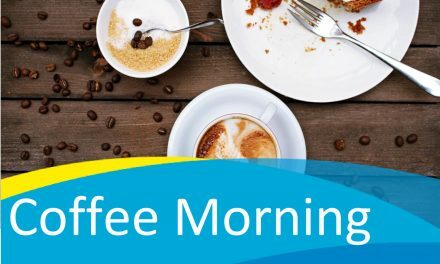 If you want to make a difference, why not join our team of 4Sight Vision Support volunteers today. 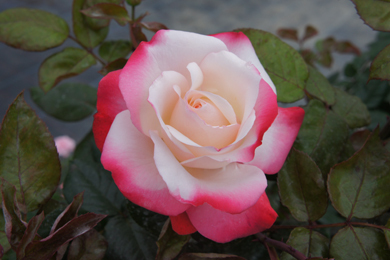 Call: 01243 828555 or find out more here. 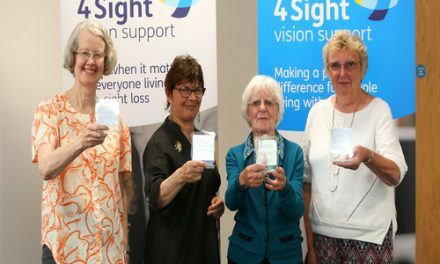 Join our team of 4Sight Vision Support volunteers today. Call: 01243 828555 or find out more here.